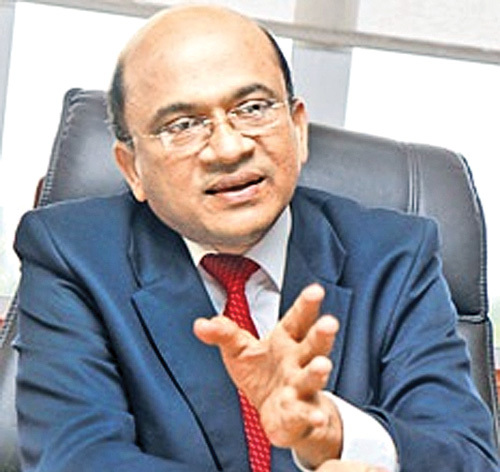 Auditor General Gamini Wijesinghe told the Presidential Commission inquiring into the Treasury Bond issue yesterday that he had no knowledge of a statement made by Prime Minister Ranil Wickremesinghe in Parliament. The PM’s statement is to the effect that issuing Treasury bonds will be done through auctions instead of direct placement as the latter has been found to lack transparency. Following this comment, Attorney-at-law Chanaka de Silva presented a copy of the Hansard containing the Premier’s statement in Parliament for the Auditor General’s perusal. After reading it, Wijesinghe replied that it was a statement made by the Prime Minister and he had no knowledge whether the government had taken an official decision to implement the method. Attorney Chanaka de Silva then stated that the Premier made the statement on March 17, 2015 and also stressed that the Central Bank was an institution which comes under the purview of the Prime Minister.